Fiction. 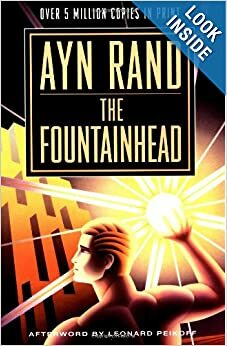 This book is woven with Rand's philosophy that the human spirit and the power of the one - the individual - eventually triumphs over the jealous masses and faceless institutions. Written half a century ago, it's still a timeless classic with a message that shows that the independent mind - the one who's truly made up his mind and set his course, cannot be deterred in spite of the mindless masses of jealous souls who look up with awe and greed. The book's message is more relevant now than ever. Nonfiction. A personal development book with the philosophical mind-set to "start with a penny" in every aspect of life. Small, daily disciplines -- applied consistently -- win out over the big leaps every time. Inch by inch, life is a cinch, yard by yard is very hard. A reminder to show up, be consistent, be patient, measure your progress, and to let compounding do its magic over a long period of time. Fiction. A 1985 Pulitzer Prize-winning novel (also a wonderful mini-series staring Tommy Lee Jones and Robert Duvall). 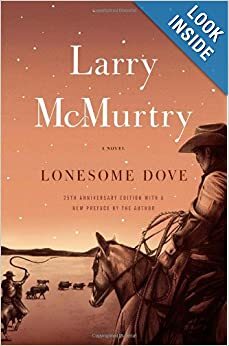 The book explores the characters Captain Call and Gus McCray and their difficult journey herding cattle from Texas to Montana during the 1800's. The two cowboys are complete contrasts, yet the best of friends. McCray is lighthearted, a wrangler and a joker who tends to enjoy life no matter how difficult the circumstances may be. Captain Call is a workaholic plowhorse with an uncanny ability to persevere and press forward with a single focus. I love the characters in this book - which explores the heartache and challenges of the early "entrepreneurial" cowboys of the young America. Nonfiction. I checked this one out after hearing Christensen give a lecture on the topic during a TED talk. The Harvard Professor and author of bestselling "Innovator's Dilemma" explores the reasons why those who've so often found "success" as defined by the world's standards, end up miserable after several years or decades. Filled with personal examples and analogies, Christensen gives us some clues as to what's really important and how we might consider re-framing and measuring our life in the context of the things that really matter. Nonfiction. Not sure about the dogs on the couch cover, but a good read nonetheless. Using a gospel perspective with references to the Scriptures, Max shows the reader how to live the life God meant for each of us to live. Nonfiction. This book is based upon Professor Pausch's last lecture that he gave to students before he was lost to cancer. There are many gems of wisdom in each of his various chapters that help us to get a glimpse into the fragility of life and the things that really matter in this world. Nonfiction. 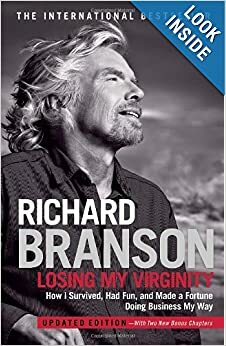 This autobiography by Branson takes us on an entrepreneurial adventure. I really enjoyed learning more about the way this multi-billionaire, serial-entrepreneur developed his daredevil philosophy to try everything at least once. Funny and crazy stories of a guy who truly lives life on the edge.